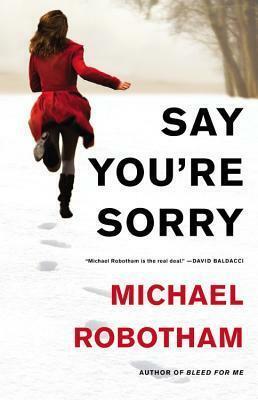 The incomparable Michael Robotham is back with my favorite psychologist, Joe O’Loughlin, in his newest addition to this stunning series. The book opens with the musings of one of the two Bingham girls, two teens who went missing one night three years ago. It is Piper who talks to readers throughout the novel as she writes in her journal. Through her they learn of the horrors the girls have lived through for years. until one of them risks a daring escape. Despite the heavy snow, Charlie is on her way up to London to spend four days with her father in Oxford. He’s to counsel her on a doubtful boyfriend and her behavior with the boy; they will spend time together after his talk at a mental health symposium. From the train window just outside Oxford, the train slows with the weather. Joe and Charlies glimpse a line of policemen moving across a snowy field. As their train moves slowly forward, they sees white-clothed crime scene officers struggling in the wind, trying to erect a canvas tent over the edge of a lake. They see what they are trying to shield: a body, trapped beneath the ice. Their first full day together is interrupted by the sudden appearance of detectives, looking for Joe to consult on the ghastly murder of a couple in nearby farmhouse. Joe is not inclined to cooperate; this kind of thing has gotten him into trouble before. But Charlie, bored with the ancient town after one shopping spree, wants to see her dad at work, and soon Joe agrees to help with the case. As he investigates, it soon becomes clear that these murders and the disappeared girls are related. But will Joe figure out the murderer in time to save one of the missing girls? The device Robotham uses of having Piper document her past and current habitats is chilling; her thoughts, so controlled and matter-of-fact to reality, show readers a young woman who was barely seen before, but will never be forgotten again. For readers of the series who understand the struggle Joe has endured over several books, the ending will move you to tears. Well-written, compelling, with complex characters, Say You’re Sorry‘s layered title will show readers its true meaning.